At CA HR Services, our clients' success is our primary objective! Our mission is to provide unparalleled, professional Human Resources expertise that will exceed expectations and allow companies to focus on sustainability and growth. Regardless of the issue, we perform the most complex, sensitive and confidential matters with utmost integrity, with the highest level of customer service, while providing effective, efficient and cost effective solutions. Why Choose California HR Services as Your Outsourcings Partner? CA HR Services employs seasoned HR professionals with years of hands-on experience in a variety of industries. Collectively, our team possesses over 200 years of HR and Recruiting experience! We serve as your "On-Demand HR Department," on standby, ready to respond to all your HR needs. Superior Service. Because your business deserves exceptional customer service. Team Approach. Even though you will have a dedicated HR Consultant, as our trusted partner, you will also have access to everyone on our team, each possessing unique specialties and expertise in recruiting, compensation, benefits, employee relations, labor laws, and more. In addition to serving as an extension to your company, CA HR Services also provides you with up-to-date labor laws and legislative alerts and other HR and business-related updates and tips. But don’t take our word for it! We'll gladly provide you with references! CA HR Services specializes in working with small and medium sizes companies to help develop legal, efficient and appropriate HR solutions that meet state and federal labor law requirements. Our highly personalized approach ensures that you work with highly competent senior-level consultants on all projects. Regardless of the issue, we handle the most complex, sensitive and confidential matters and treat your business as if it were our own! “We're an amazing and growing team of HR professionals who are passionate about the field of Human Resources. But more importantly, we love partnering with small businesses and assisting them with their HR needs while helping them be compliant with growing labor/employment regulations. When we do our jobs right, that gives our clients the ability to focus on what matters most -- to grow their companies!" California HR Services was created by Nadia Ardebili in response to many requests for her expertise as an HR professional with nearly 30 years of management, business and executive-level experience in start-ups and small businesses, as well as major Fortune 100/500 companies in both the for-profit and non-profit sectors. Nadia has worked in a variety of industries including Construction, Manufacturing, Hospitality, Arts and Entertainment, Education, Giftware, Internet Marketing and eCommerce. She possesses an MBA with an Emphasis in Human Resources Management, as well as Bachelor’s degrees in, Hospitality Management with minors in Business Administration and Marketing. Nadia Ardebili is a member of the San Diego and National Society for Human Resource Management (SHRM) and volunteers for countless local organizations including Humane Society, CA Coastal Cleanup, Fill-A-Belly, San Elijo Elementary School, San Marcos High School, and much more. Nadia Ardebili teaches the Human Resources Management Certificate Program at MiraCosta College in the Oceanside, Carlsbad and San Elijo, California campuses. Office Managers, small business owners and novice HR folks interested in obtaining a Certificate in HRM and/or wishing to learn more about Human Resources functions may visit MiraCosta College’s website. Ms. Ardebili is also a presenter for the San Marcos Chamber of Commerce's Member Business Training Series and recently hosted the "HR Hot Topics for Small Businesses" session for Chamber members. Michelle Philbrick’s Human Resources career spans over 15 years. Michelle is a well-rounded HR Generalist with expertise in HR process development, HR compliance, Immigration/I-9s, Recruitment, Employee Relations, Training and Development, Benefits, and Employee Engagement. Michelle has worked for start-up companies in the Mortgage Banking, B and C Lending, and Telecom industries. In addition, Michelle has worked in the non-profit sector at The American Red Cross and Rady Children’s Hospital in San Diego, California. She has also worked in Real Estate and has a thorough working knowledge of that industry. Michelle has a BA in Industrial Sociology along with a Certificate in Human Resources Management. Given her breadth of experience and education, Michelle has developed an aptitude for producing quality work while providing superb customer service to a wide range of people in various industries. Michelle enjoys nothing more than helping others succeed. Her goal is to assist small businesses achieve their goals and objectives while creating an attractive workplace for their employees. Sharon Taylor is a Human Resources leader and business partner with a strong business background across several human capital core functions. 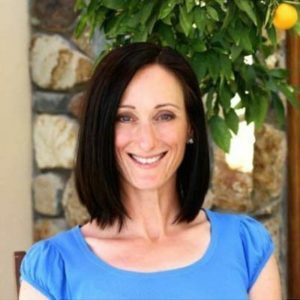 She has over 20 years of experience developing and delivering strategies that produce tangible business results, including managing, directing, and consulting. She is a business-minded leader and trusted advisor to CEOs and executives. Her areas of expertise include: Coaching and Performance Management, Talent Acquisition, Analysis and Strategic Planning, Training and Development, Labor and Employee Relations, AAP and Regulatory Compliance, and Succession Planning for multi-site and multi-state locations. 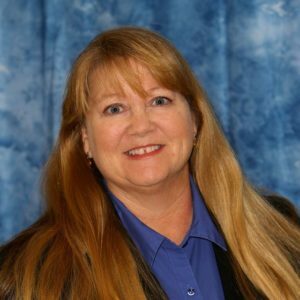 Sharon holds a Bachelor of Arts in Communications from UC San Diego and holds the SHRM-SCP and SPHR designations. 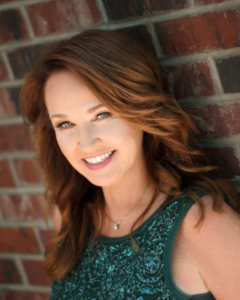 Sharon is also a Certified Transformational Life Coach through the Life Mastery Institute. She is also a member of the Society for Human Resource Management (SHRM) and (PIHRA). 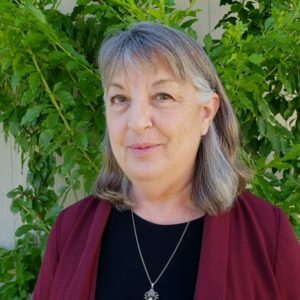 Sharon is an active member of the board and Vice-President of Programs for the North County Human Resources Association in San Diego. Meghan Sun is an accomplished HR generalist with experience in both small and large organizations. She is a strong business partner with comprehensive functional knowledge. Meghan is skilled in talent acquisition and management, employee relations, facilitation, and organization development. Meghan’s most recent experience involves working in a manufacturing setting as a senior business partner and advisor to the management team. Meghan is a highly valued asset on both a strategic and tactical level. Meghan holds a BS in Business Administration with an emphasis in Human Resources Management, a professional certificate through the Society of Human Resource Management (SHRM-CP) and a Professional of Human Resources (PHR) certificate. Nancy has over 25 years as an HR generalist with an emphasis in enhancing working relationships for all employees to ensure a safe, respectful, and productive workplace. She has experience developing policies and procedures that meet best practices criteria for a variety of topics. Her background has been in both private and public sector, with the majority of time spent in local government. Nancy's most recent experience has been working for the City of Oceanside and City of Vista. As a key to a well running organization, Nancy understands the value of a fair and cooperative environment and has experience identifying and eliminating barriers to ensure the success of your goals. Areas of expertise include recruitment / selection, new hire orientation, training, performance evaluations, progressive discipline, employee separation, group benefits, and conflict resolution. Nancy obtained a master’s degree from SDSU in 2009 and is a resourceful partner for any size organization. Kristie has over 20 years of experience as a Human Resources professional. She has provided HR expertise to a wide range of organizations, including Fortune 500 companies, leading universities, as well as start-up technology companies. 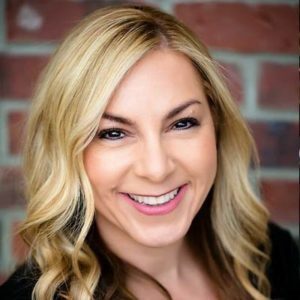 Kristie holds a Bachelor's Degree in Communications from the University of California, San Diego (UCSD) and a Master's in Business Administration with an emphasis in HR from the University of Oregon. 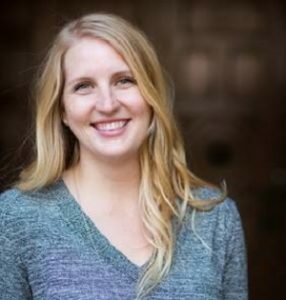 In addition to consulting, Kristie currently teaches Organizational Behavior at UCSD Extension's Business Management Program for International Students. 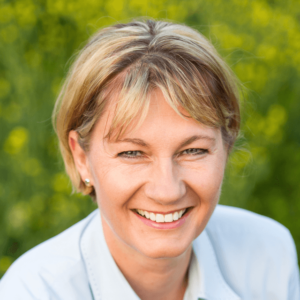 Sonja is an accomplished recruiter with 13 years experience in international business. She specializes in creating effective talent pipelines using diverse approaches to fill positions rapidly. She has a proven track record of finding, screening and placing national and international talent ranging from entry to senior-level in several industries. Sonja is solutions oriented. She enjoys providing excellent customer service and solving problems with out-of-the-box thinking and close client collaboration. Her experience in international marketing, PR, recruiting and teaching make her a well-rounded HR professional. 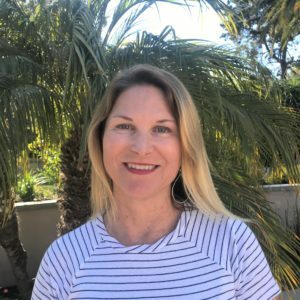 Sonja Holds a BA in International affairs from Boston College, a Professional Human Resources Certification (PHR®) and is a member of the Society for Human Resources (SHRM) and San Diego Human Resources Forum (SDHR). She is fluent in English, German and French, and is an intermediate level Spanish speaker. Tracy’s recruitment experience spans over 20 years. She has a unique ability to easily establish rapport and read people. 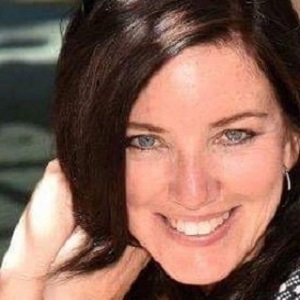 A former VP of a Real Estate Investment and Lending Company, Tracy brings a wide range of skills to CA HR Services. In addition to recruitment, Tracy was responsible for a variety of duties, including but not limited to, investor relations, loan servicing, investment fund management, financial analysis, loan underwriting, and real estate sales and development. Tracy is a graduate of UCLA with a B.A. in Psychology with an emphasis in Business, and the University of San Diego with an MBA with concentrations in Project Management and New Ventures. Since 2001 Tracy has been a Judge for the International Collegiate Business Strategy Competition. 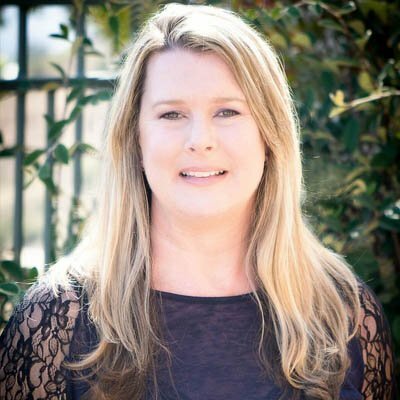 Tracy is also an Emeritus Board Member of the UCLA Club of San Diego, having served as its Operations Director, Treasurer, and Director at Large. Tracy is also an avid sports fan and enjoys attending sporting events, travelling to destinations near & far, reading, and laughing with friends & family. Laurel-Marie Bruch (rhymes with truck) is a creative relationship-focused Human Resources leader with more than 20 years' Generalist expertise across diverse industries ranging from Manufacturing to Financial Services and Non-Profit organizations. Laurel has held both strategic and tactical responsibility for all aspects of human resources, including talent acquisition, compensation, performance management, collective bargaining, training and development, employee relations, and workers' compensation. Laurel is highly skilled at assessing and implementing automation and efficiency improvements for data management, analysis and legislative compliance, including HRIS migrations and build-out. Most importantly, Laurel invests herself fully to deliver results on time, accurately, and as promised, with a keen enthusiasm for solving critical problems and facilitating employee effectiveness and engagement. Laurel holds both BS and MS degrees in Industrial Labor Relations and is a certified Fundraiser through the Sanford Institute of Philanthropy at National University. She enjoys road cycling, paddle boarding, bread baking, singing, ballroom dancing and social dancing. 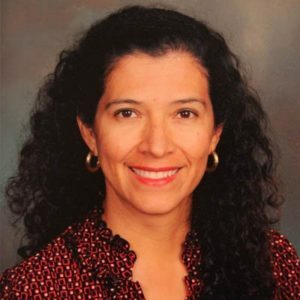 Gabriela Shea has been providing English to Spanish translation services for California HR Services since 2013. Spanish translation services include but are not limited to Spanish Sexual Harassment Prevention training, translating HR forms, policies and procedures, including translating entire Employee Handbooks, as well as translating sensitive and confidential employee relations meetings and investigations. Previously, Gaby worked as a Human Resources Specialist for General Electric Company. Currently Gaby also works in the English Language Development Department for Design39Campus in the Poway Unified School District. She possesses a Bachelor’s Degree in Business Administration and completed the Human Resources Leadership Program at the GE Company. Patty is a well accomplished and experienced professional with years of experience managing a successful family-owned business where she oversaw the entire daily operations and managed a team of employees. Previously, as an Advertising Executive, Patty was responsible for cultivating and developing the Hispanic infomercial and direct response business for three Spanish-language Networks. Her most recent area of expertise has been in the benefits/ insurance industry, where she provided clients with superb customer service while ensuring she met their needs. Patty is responsible for all operations, accounting and client relations support services. 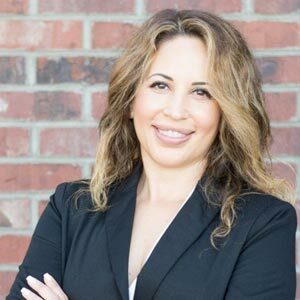 Patty Velasco is bright, knowledgeable, hardworking and has years of sales and customer service experience and has a proven track record of planning, organizing, and creating efficiency in a diverse set of industries. She is a perceptive problem solver with the dedication and determination to create, implement and follow through, until achieving a successful resolution and maximum customer satisfaction. Patty spends a great deal of time volunteering in the community and does her share to evoke a sense of civic duty within her friends and family. Patty is also bilingual where she speaks and reads Spanish fluently. Hilary Devrome holds more than 15 years' experience in law, research, and academic writing and editing. She completed her Bachelor of Arts and Law degrees in 1996 and 1999 respectively. Central to her skill set is a dedication to, and development of, expertise in areas of research and writing as applicable to legal, corporate, ethics, and non-profit arenas. Ms. Devrome’s experience includes: Conducting primary and ongoing research; document drafting, including the preparation of operating agreements, employment policy and procedures manuals, contracts, management agreements, requests for proposals, waivers of liability, and hold harmless agreements; non-profit corporate formation and preparation of related operating and IRS related documentation; and, ongoing document review, updating, and revision to ensure factual, legal, and grammatical accuracy. Candice is a high energy recent college graduate with a passion for people, writing and organization. Candi’s strong customer service skills and attention to detail ensures that both employee and client needs are well taken care of. 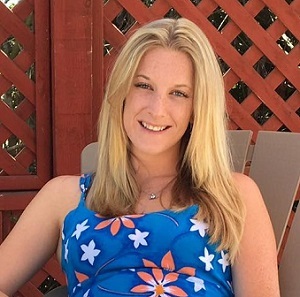 Candice has experience working with the California Center for the Arts, Escondido in Event Sales, handling special projects, as well as serving as a liaison to the Marketing department. Additionally, she is a Guest Ambassador at the San Diego Zoo, Safari Park. With a passion for animals and her up beat, friendly persona, Candice thrives when working with the public while helping to spread the message of animal conversation on a global level. Candice received her BA in Communication in Social and Behavioral Science with an emphasis on Public Relations and a Minor in Sociology from Northern Arizona University. She is certified in Special Event Contingency Planning for Public Safety Agencies and proficient in American Sign Language. Walter Stella has over 20 years’ experience representing companies in all aspects of employment law and related litigation, including wage and hour class actions and suits involving trade secret theft, wrongful termination, discrimination, retaliation, and harassment. 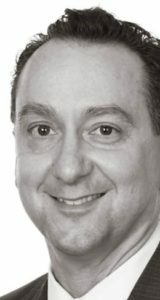 He also routinely counsels clients on employment law matters, provides advice on employment issues arising from complex business transactions, and negotiates employee benefits and employment agreements on behalf of companies and executives. Mr. Stella earned his B.A. from Marquette University and his J.D. from Cornell Law School in 1990. Ms. Aragón graduated with a BA in Criminal Justice from California State University of Fullerton. In addition, she holds an Associates of Arts degree in Administration of Justice from Rio Hondo College in Whittier, California. In 2002, she was hired as a federal police officer, and attended prestige Federal Law Enforcement Training Center in Glynco, Georgia. In 2006, Ms. Aragón became a Public Defender Investigator and in 2013, Ms. Aragón formed her own private investigation firm. Today, she works with top-rated attorneys throughout the state and is assigned to high profile media cases. She is also fluent in Spanish. Ms. Latte was rescued from Helen Woodward Animal Center in 2016 and "hired" by CA HR Services shortly thereafter! 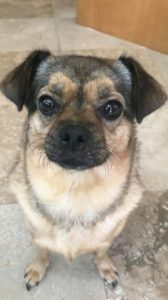 With her sweet and gentle disposition as an Equal Opportunity caregiver with an endless supply of love for all, she is a natural fit as the Chief Morale Officer where she is responsible for greeting and helping everyone feel welcome. Latte can be a bit of a slacker by sleeping all day but she perks right up every evening at exactly 5 pm! Even though she's classified as exempt/salary, she's a clock watcher by nature! Mr. Duke was "hired" in 2014 as the Chief Security Officer, ensuring everyone's safety and security. He is often found lounging in the corner listening to investigation meetings but perks right up for his 10 minute breaks and 30 minute off the clock lunch breaks. 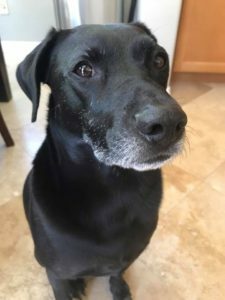 He takes his job a bit too seriously, barking at every employee, candidate, mailman and even every bird, we are however grateful that he keeps a watchful eye on the team and all our confidential HR files and documents.